The Year 4 Staff would like to take this belated opportunity to wish you a Happy New Year and thank you for all your support so far this academic year. The autumn term was a busy, but very enjoyable time. It is going to be another busy term with exciting opportunities for the children. 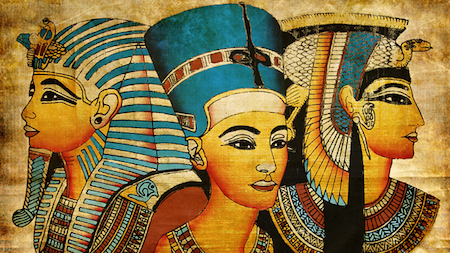 Our theme for this half term is Ancient Egypt (click HERE to see the latest topic web). The children are already generating their own fascinating questions and sharing their existing ideas and knowledge about the topic, which we will explore further over the coming weeks. Please see the curriculum map attached for further information about what we are studying this term. Our focus as a school is on improving reading, spelling and times table knowledge across the Federation. With this focus in mind, we ask that children are reading at least 3 times a week. Children in year 4 can fill in their reading record themselves when they read at home, but we ask that an adult signs the reading record once a week. We collect these in on a Friday and the amount of home reads they have written in their records goes towards our school rewards. We already have children receiving their silver badge for 100 home reads – well done! Spellings are sent home weekly on a Thursday for a test the following week. There are a number of multi-sensory ways children can practice spellings as well as the ‘look, cover, write, check’ sheet provided. If you are practising spellings in another way at home, please just sign the bottom of the homework sheet, so that we know this has been done. Further ideas can be found in the spelling homework folders. We have set the homework level on Times Table Rock Stars as 3 minutes a day (as recommended). We can see that many children enjoy playing for much longer than this, which is great. We do monitor progress on TTRS and have seen the huge impact this program has had on some children’s progress with their times table knowledge. Please ensure children are practising regularly at home. If access to the internet is an issue, remember the school run a homework club every Thursday after school for children to practise spellings and times tables. Please contact the office if you would like your child to attend. In addition to weekly reading, spelling and times table tasks, there will be a topic-based project which will be completed across a half term. Your child has been given a log in for Mathletics, Times Tables Rock Stars, Purple Mash and Teach Your Monster to Read, which are websites designed to support their learning. Please take time to log on with your child and explore these sites. Thank you for your continued support with school uniform. A full school uniform list is available on our school website for reference. However, we would like to remind you that socks should be plain black grey or white and not trainer socks; hair accessories should be simple and in school appropriate colours; jewellery is limited to plain, round stud earrings and a watch; and nail varnish should not be worn. As the weather gets colder, please make sure children have tracksuit bottoms and sweatshirts as part of their PE kit, as we will continue to go outside for PE lessons. Please ensure everything is named, including all PE kits, coats, lunch-boxes and jumpers, as this will mean it is more likely lost property will find its way back to the classroom. There will be parent consultation evenings on Wednesday 6th and Thursday 7th February (more details to follow). If you have any questions or concerns about your child in the meantime, please contact your class teacher.